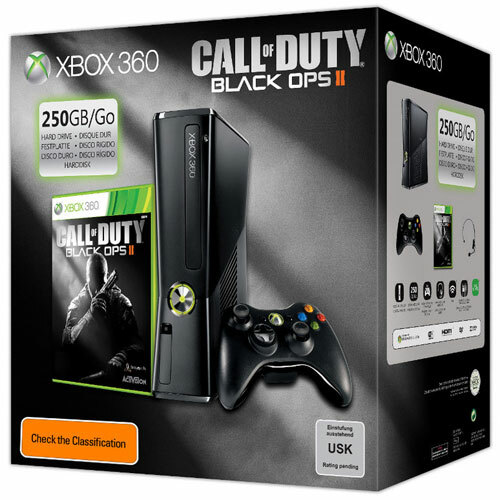 If last week's collector's editions weren't enough, Microsoft has just announced a Black Ops II Xbox 360 bundle. The bundle will be released at the same time as BO2 itself, November 13th, and will carry a suggested retail price of ~ $500. The bundle isn't anything to write home about as it only comes with a copy of the game, standard black Xbox 360 console, 250GB hard drive, one controller, and a headset. Unfortunately this bundle is only worth it if you still don't own a current generation gaming console and want to play Black Ops 2 this fall.